The leech neuron model studied here has a remarkable dynamical plasticity. It exhibits a wide range of activities including various types of tonic spiking and bursting. 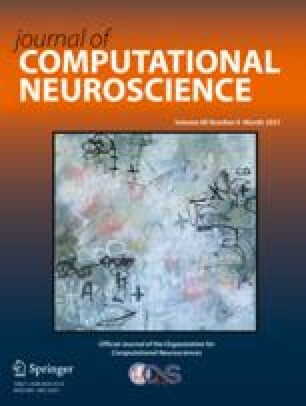 In this study we apply methods of the qualitative theory of dynamical systems and the bifurcation theory to analyze the dynamics of the leech neuron model with emphasis on tonic spiking regimes. We show that the model can demonstrate bi-stability, such that two modes of tonic spiking coexist. Under a certain parameter regime, both tonic spiking modes are represented by the periodic attractors. As a bifurcation parameter is varied, one of the attractors becomes chaotic through a cascade of period-doubling bifurcations, while the other remains periodic. Thus, the system can demonstrate co-existence of a periodic tonic spiking with either periodic or chaotic tonic spiking. Pontryagin’s averaging technique is used to locate the periodic orbits in the phase space.